Colonial history, superb waterways, stunning architecture, blue mountains, rugged bush land, sheer escarpments and friendly people epitomize the essence of this immensely beautiful and spectacular country-Australia. While the crystal clear bays, rivers and inlets of this island are home to the Bottlenose dolphins; in sheer contrast, the fast paced cities of Australia are cosmopolitan in character. 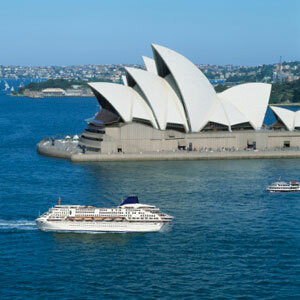 An Australian cruise allows you to savor the spectacular natural beauty. Cruising is probably the best way to see this beautiful island country. Whether a traveler is planning to trek across the ocean for an epic cruising journey or simply opt for local cruising through Australia, Australian cruises are immensely delightful to say the least. There are several great cruising options available in Australia ranging from one day to three weeks duration. This cruise takes the traveler through one of the greatest natural treasure of Australia - the Great Barrier Reef. The Reef stretches more than 3000 kilometers off the east tropical Queensland coast and beyond. This is the world's largest marine part and houses the world's largest collection of living corals. A tourist would be awed to see more than 1400 species of fish and marine creatures from a glass bottom boat. The fragile coral ecosystem here is incredible. The Great Reef is ideal for swimming, scuba diving or snorkeling. Cruising to the Barrier Reef is an ultimate way to relax especially in the luxury of the catamaran. 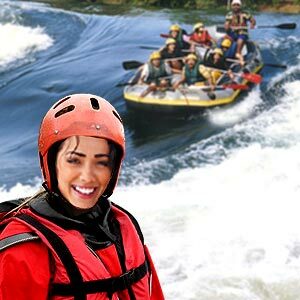 The aquatic adventure is sure to be memory of a lifetime. Friendly guides and instructors near the Reef guide tourists in diving or snorkeling. A tourist could enjoy the great sunset over the Barrier Reef and Wally with the friendly fish, drink and rest after an early dinner or dive after sunset. Whitsundays are unique, exotic and spectacularly beautiful. Centrally located on the Queensland coast, about 1500 km north of Mackay and 300 km south of Townsville, it is in the heart of the Great Barrier Reef. 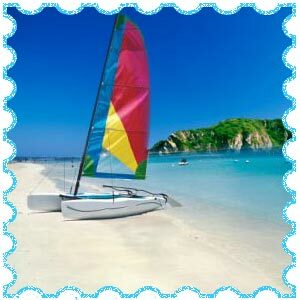 Whitsundays offer astounding ocean views and myriad activities for tourists. The Whitsunday coast and islands are considered as a very special part of Australia and the sheltered warm waters makes this a great place for a honeymoon or holiday with family. This is a great city to vacation and the sheltered harbor of Sydney has made this immensely attractive. The sparkling blue waters of the ocean near Sydney reflecting the Australian sunset is a delight to watch. A tourist can either tour modern downtown Sydney city area or take an adventure tour at the beach or squeeze sufficient time for both the activities. The Hunter Valley Winery Region, Port Stephens which is a paradise of crystal clear bays, inlets, rivers and islands and China town and Kings Cross are place of tourist interest in Sydney. Many tourists choose to go to the Sydney opera house and the Sydney harbor bridge. The Opera house can either be enjoyed by going in for a show or by just walking to the main stages and touring the rooms. A bar and a restaurant are also located at the house and it should be a great place to lunch before going to the Harbor Bridge. Some sections of this Bridge are open to the public for free and they offer a stunning view of this great Australian city. Sydney also has a number of historic homes and building to offer a visitor. Museum of Sydney, The Elizabeth Bay House, the Rouse Hill Estate, the Justice and Police Museum are some of the sites to visit. The Bondi Beach is perhaps the best that Sydney has to offer to the tourist. A cruise to Sydney, Australia's Olympic city should help the tourist reflect on Australia's personality. It is cheeky and warm, outgoing and friendly. This is a unique destination filled with fun and relaxation for the discerning tourist. Picturesque beaches, clear warm waters and vast tracts of the National Parks are suitable for long walks, leisure activities like surfing, fishing, boating. The pristine sanctuaries and rainforests are enchanting and refreshing, casting a magic spell on the visitors. The Murray River runs through the eastern side of South Australia and the tourist can visit a number of small towns along the Riverland area. The Dundee's Wildlife Park and Monarto Zoological Park could be informative and enjoyable. The beautiful hamlet of Jervois and the Old Tailem Town are pretty points of recreation. There is a floating museum in Mannum which a tourist can visit on a river boat. Cascade Waterfalls at Reedy Creek open during the winters; Purnong Road Bird Sanctuary and Morgan museum which can be reached through a car ferry are not just eventful but also entertaining for the cruiser. The beautiful Swan Reach with its magnificent scenery and awesome pelicans can captivate the tourist. The fabulous Yellow Cliffs lying east from Morgan, the large citrus trees at Waikerie, the Murray River National Park at Kataropko Creek where one can go for bush walking and canoeing and camp overnight should be definite places of visit for the tourist. The Willabalangaloo Reserve which is a great place for walking trails is popular with visitors. These cruises are highly informative and allow the tourists to absorb the cultural remnants of one of the world's most ancient people, the Australian Aborigine. The Torres Strait and Tiwi islands call this remote and beautiful region their home. 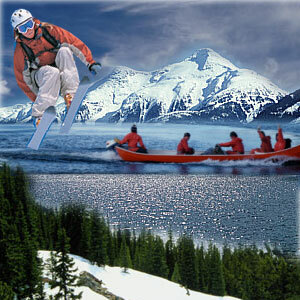 Normally highly specialized and experienced tour guides supervise such cruises. Unique adventure cruises to Tasmania, which is a separate island off the south shores of Melbourne are another draw. Tasmania is also highly protected and 40% of the islands are made up of National Parks wherein a number of plants and animals which are endangered or extinct in other parts of the world survive.